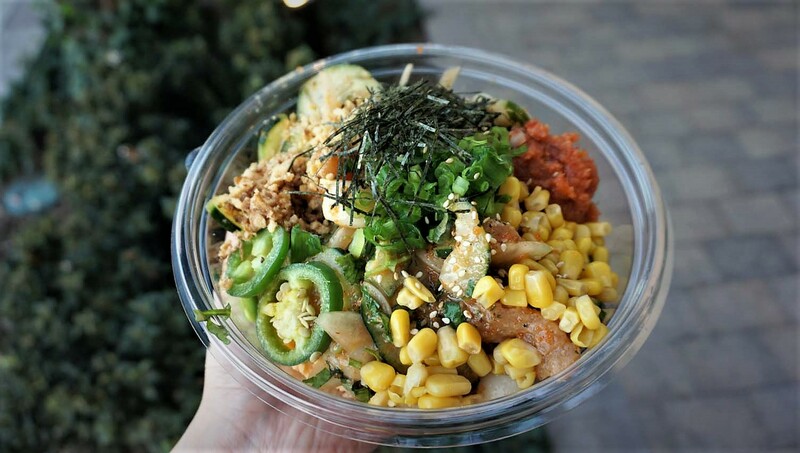 Build-Your-Own Poke Bowls with Fresh Options @ Poke Me - Irvine (Heritage Plaza) - EAT WITH HOP! 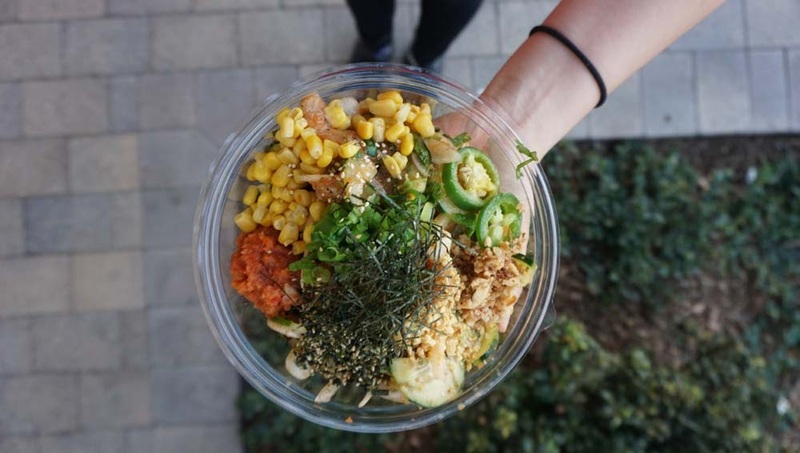 Poke Me, an assembly-line type of build-your-own poke fast casual restaurant, just opened another location in Irvine at the Heritage Plaza near UCI! I had the pleasure of visiting as a media guest to check out this new location! I like how the restaurant is well kept and very clean! But it's also sort of.. bare at the same time? Basically it's not one of those typical places that are abundant these days with Instagrammable walls and random quotes or hashtags on the walls. Basically, I feel like the environment made me focus on the fish more rather than planning my next IG photo. 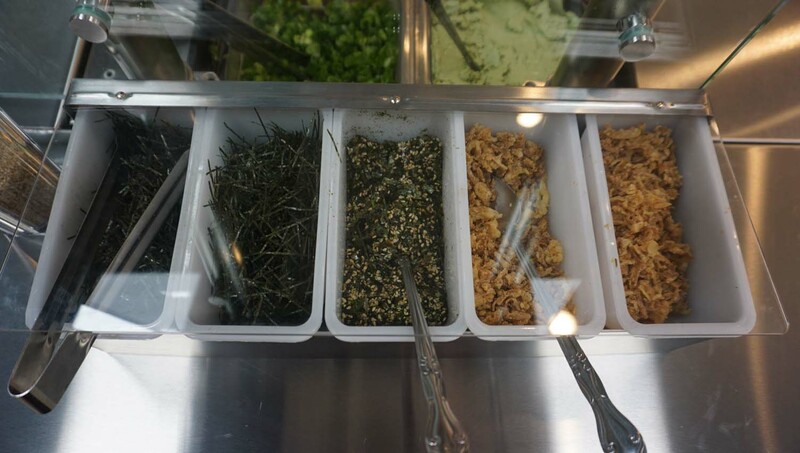 They have a variety of topping options! Something unique I noticed is not only do they have regular crab meat (imitation most likely) but also spicy crab meat! I got the spicy crab meat because I think it goes well with the spicy tuna that I got! 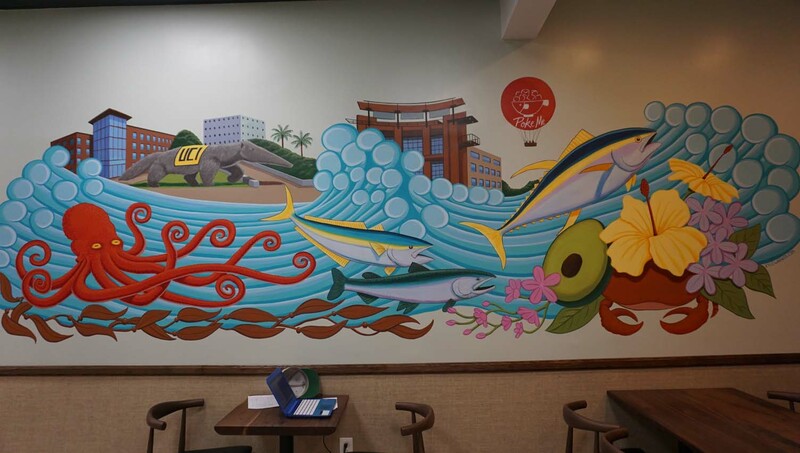 Look at the nice mural they have on the wall though (pic above)! Do you see the anteater? YESS! That's my alma mater right there! 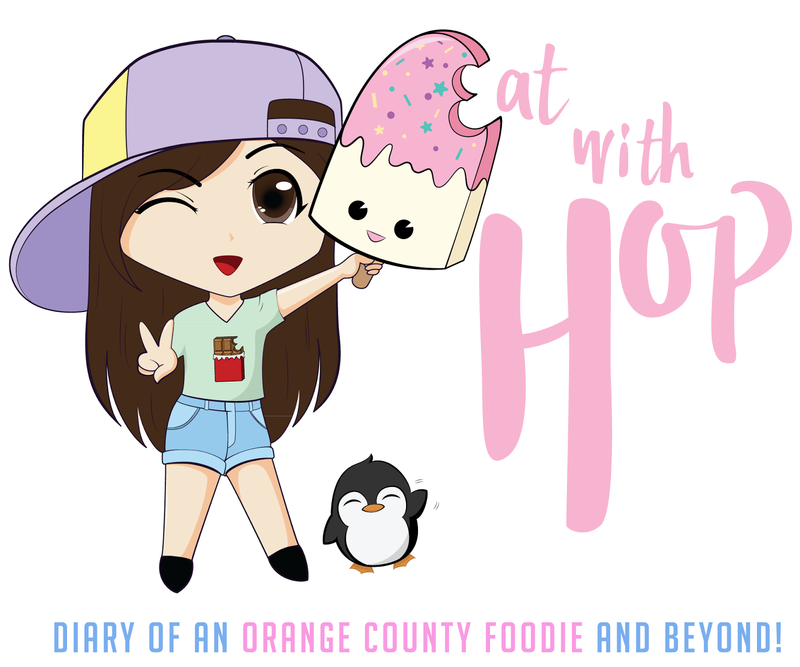 Anyone here a UCI student / alumni ? #ZotZot yo! 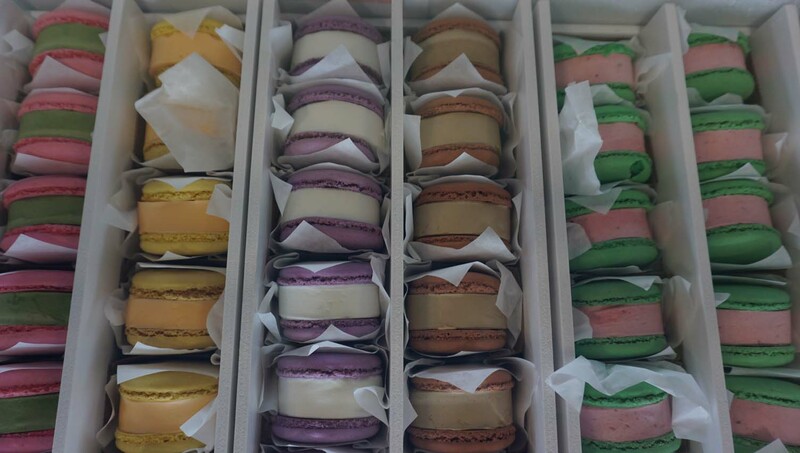 They also have macaron ice cream sandwiches! If you ever get them, make sure to let it thaw for a few minutes or you'll be biting into a rock! 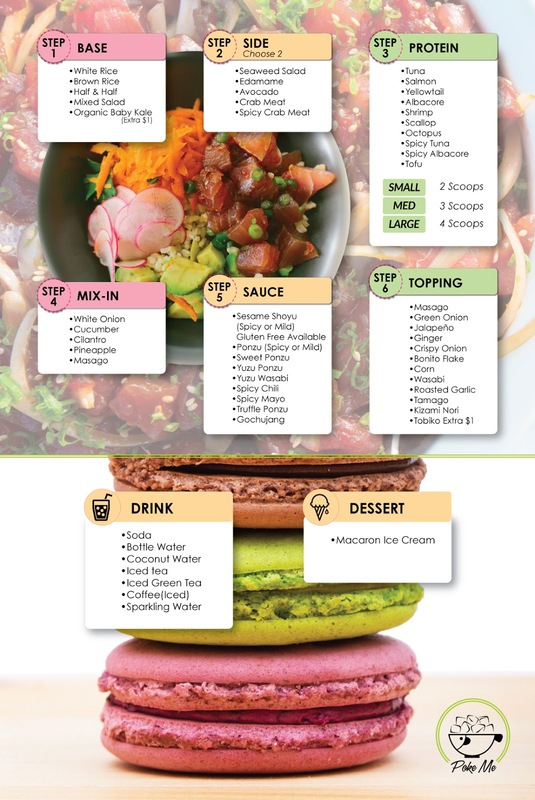 Here is a pic of the Poke Me menu below! Not gonna lie, the Poke trend is seriously saturated these days. I am pretty sure there is a poke restaurant in every corner of every city. Why is poke so popular? Probably because they are easy and on the cheaper side of things to sell. 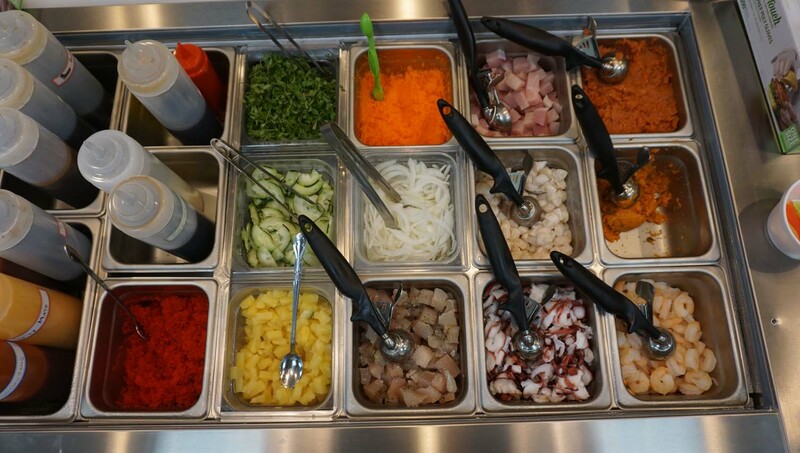 Hence, why there are so many poke restaurants everywhere with different ranges of prices. For Poke Me, the price starts no lower than $10 (okay well actually $9.50) which is already expensive to me because Pokinometry over in Anaheim is only around $8 for the small. But, Kevin and I did agree that even though the prices do start higher here, the amount of fish that is given is more and the size of the fish cuts are larger! Unfortunately though, you can only choose two types of fish for the small size.... that's kind of a negative for me because sometimes I want a little bit of 3 types of fish instead of a lot of two types. You know ? I hate how you are only allowed to choose two sides because a little bit of each complements my poke bowl... in my opinion... Like... avocado is a must have but I also always need to get my edamame. But then Seaweed salad adds a refreshing and healthy touch to it as well. Yet I can only choose two?? For the bowl during my visit, I had a seriously hard time choosing just two....and ended up getting just edamame and spicy crab meat. 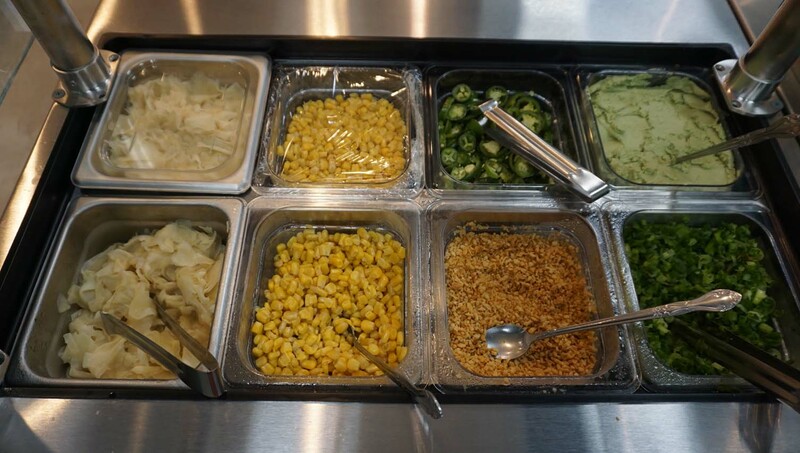 Maybe that's why they offer a self-serve topping bar, to make up for the limited sides. For the fish, Poke Me actually has a lot of choices and they all look fresh and clean! They have unique choices that not many other places offer such as spicy albacore and octopus! Whoa! You can't go wrong with any of the choices. Just get what you're feeling! As for the sauces, they do let you sample it! So don't hesitate to ask for samples here! My fave sauces are the spicy gochujang, spicy ponzu (nice citrus-y refreshing taste), truffle ponzu, and spicy chili. By the way, they also serve poke burritos now at both Irvine locations! Yes. I actually enjoy this place and think it's worth it if you like poke since the fish cuts are big cubes and the portion sizes are good for the price. I wouldn't recommend it though if you prefer a smaller size for a lesser price because they just don't offer that. To me, the "small" size here is pretty big and I kind of get sick / tired of eating poke halfway through because it's just too much for me. So I would rather have the option of an even smaller size at a lesser price so I don't end up throwing some away. Poke Me has many options that I'm sure would satisfy y'all!